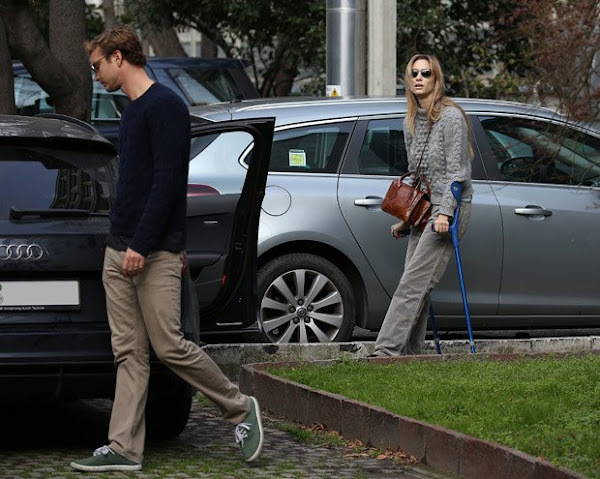 Beatrice Borromeo, wife of Pierre Casiraghi, suffered a car accident in Milan. Beatrice was spotted leaving the hospital La Madonnina in Milan on a wheelchair and then walking with the help of orthopaedic canes. Poor girl! I hope she mends quickly! She still looks amazing! Such a lovely couple they are.